Brian has been going to skateboarding camp all week...which basically means I pay money to drop him off at the free skateboard park so he can skateboard with a bunch of guys who are old enough to be his brothers for 5 hours every day. 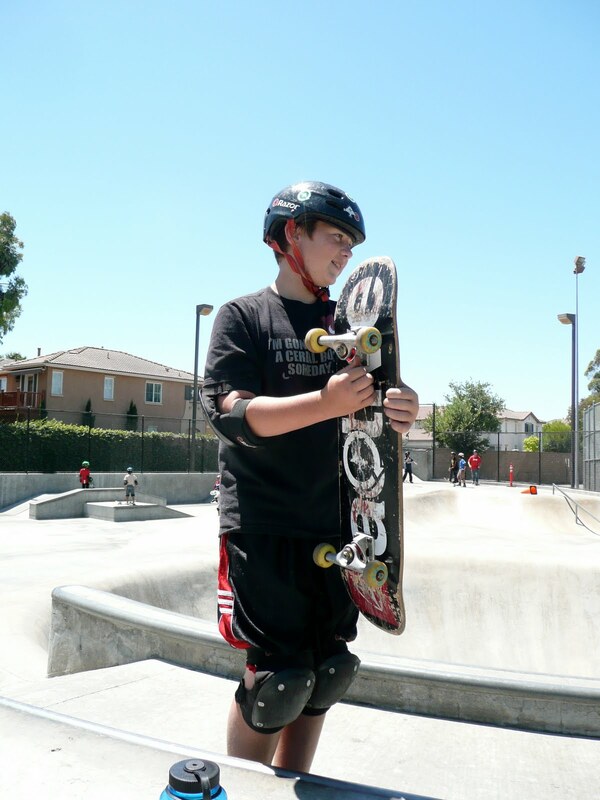 The coolest thing about Brian is that he is 11 turning 12 and he still likes me. I mean, really likes me. He made sure this morning that I was going to come an hour early to watch him show off all the new tricks he's learned. He. Asked. Me. To. Show. Up. And. Watch. And while watching, I noticed that he's getting bigger. He's also pretty smart. After camp he offered to take me to lunch to celebrate the end of summer...and who am I to turn down a free lunch? We made our way back towards home and found ourselves at Ruby's on our lake. I love Ruby's and I love our lake. 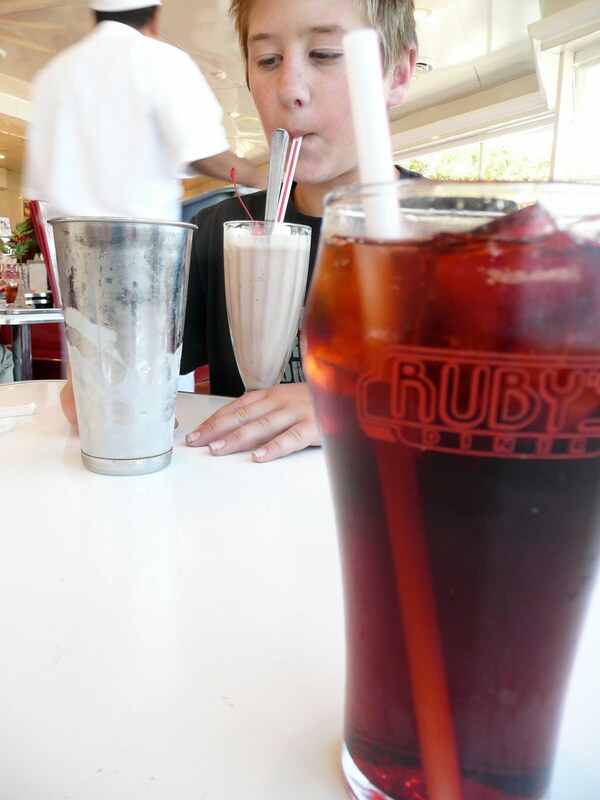 We splurged...a cherry (REAL) coke for me and a triple chocolate malt for the cute kid. So cute, in fact, that I picked up the bill at the end. Perk of wanting to hang with your mama. Hi..I’m Barb….I am from FF. I am your newest follower. I hope you will get a chance to visit my blog @ santasgiftshoppe.blogspot.com & get inspired by something for your family/home. I hope you will follow me as well. I also would love for you to be a new Fan of my Facebook page too & click “LIKE” in the upper right hand corner of my blog & you’ve done it..Thanks so much! I am just starting at Facebook. Nice to meet ya new friend!! !